COPKO Heavy Duty Drop-Forged Steel Mechanics Vice (Unbreakable), COPKO Cellular Concrete Band Saw-Model CBS401- Wood Band Saw-Model WBS401, COPKO Planning Machine Knives, Bandsaw Blade – SANDVIK, Lever Wheel. 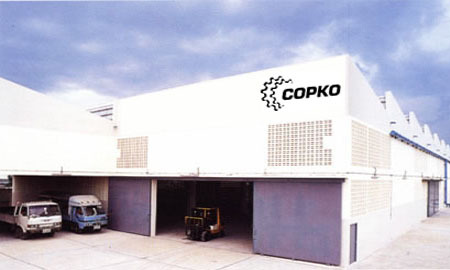 Copko have been established since 1974. Our company is certified with ISO9001:2001. Manufacturing facilities are well equipped with the modern machinery. We pay attention to the quality and workmanship of each and every piece of our products. After assemble, each product is given a stringent test for its performance before it leaves our works to ensure no complaints from our users. Robust construction, being entirely fabricated from imported open heart distortion free SM steel plates which are resistant to rupture and capable of withstanding the highest stress due to rough usage. Each part is carefully and accurately machined. 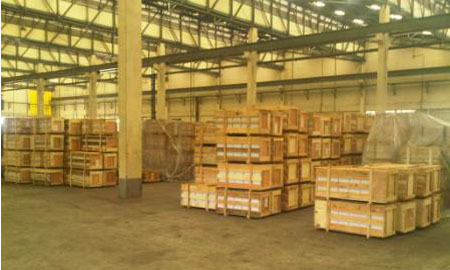 The parts subject to wear and strain are drop forged and made of best quality applicable steel. The pivots, bolts and lock nuts and other bolts and screws used are of high tensile strength. The cutting blades are made from the best quality Swedish Special Tool Steel. Copko have a special separate tool manufacturing section where the cutting blades for the bar cutters and plate shears are manufactured under modern facilities. The blades are carefully and accurately ground so as to give clean and burr-free cuts easily for a long time. Anti-rust treatment is given to the body and then neatly painted. There is quality control at every stage of production. After assembly, each product is given a stringent test for its performance before it leaves our works to ensure no complaints from our users. Copko are keeping ourselves abreast with modern production technology with a view to improving the quality and performance of our products to meet the developments of the latest building construction techniques.